Here is all the inspiration needed for every style of bride! I love when brides choose to incorporate their ‘something blue’ through their shoes. It’s the perfect pop of blue against the white dress that’s not overwhelming! I’m a sucker for all things classic and simple! You can never go wrong with an elegant white heel for your wedding day. As I mentioned before, your wedding shoes are the perfect opportunity to show off your style! If you are a bride looking to show a little more flair, go bold and beautiful! Now that we have gone through all the pretty inspiration, time for the tips! Here are a nuggets of advice to assist with your search for the perfect pair. When to buy: make sure to buy your wedding shoes before your dress fitting so that your tailor can adjust your hem to perfectly kiss the floor! 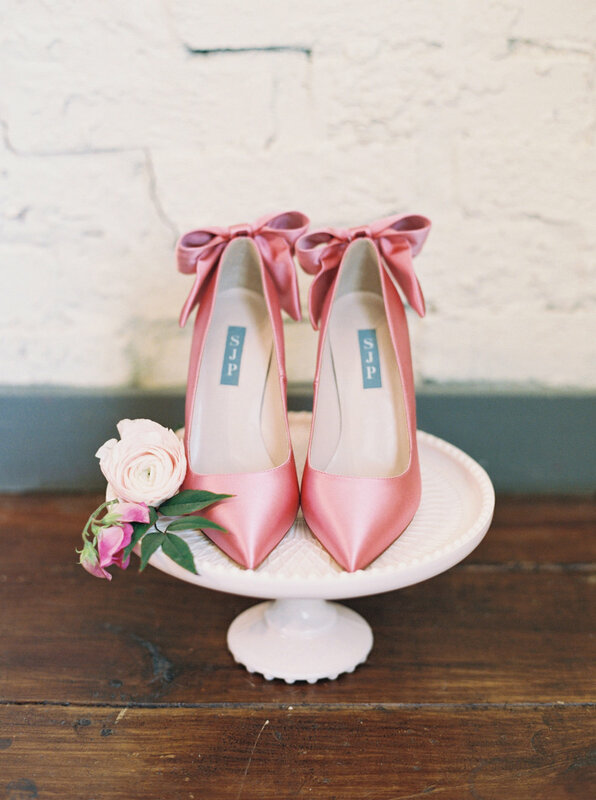 Break in those bad boys: I can understand wanting to keep your wedding shoes new and pristine for the big day, but wearing them around the house for a week or two before can go a long way in making sure you are plenty comfortable! Don’t be afraid to switch it up: If you are not someone who normally wears heels, or know you will be spending the night out on the dance floor, don’t be afraid to kick off those heels and opt for something a little more dance friendly! You can even have your wedding planner hide a pair of flip flops under your seat at the reception so you can change your shoes without anyone ever knowing! Here are my favorite sites for some stylish shoes! Check out my Pinterest Page full of wedding shoe inspiration and follow the Wedding Tip Tuesday series on my instagram!